Fleeing the ancient city of Palmyra, which they failed to obliterate but turned into a delayed-action minefield, the few surviving ISIS jihadists left behind a trace of bureaucratic paperwork documenting 10-months of a reign of terror , RT Arabic reports. 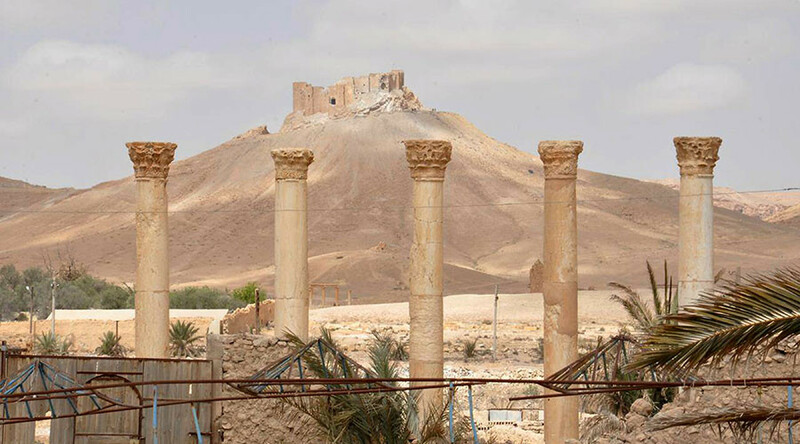 Following the May 2015 capture of ancient Palmyra, situated about 500 meters from the modern town known in Arabic as Tadmur, Islamic State (IS, formerly ISIS/ISIL) terrorists imposed strict Sharia law to govern the daily lives of those residents who did not flee their rule. 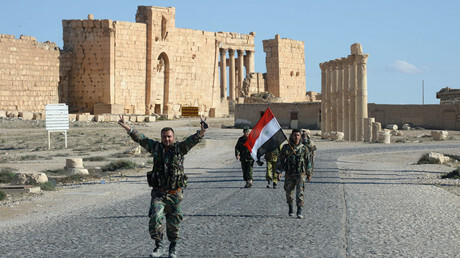 Various blanks and bureaucratic paperwork, all promising strict punishment unless their rules were adhered to, were recovered on the ground by the RT crew, who traveled to Palmyra following its recent liberation by the Syrian army with support from Russian air and special forces. The documents range from employment contracts to notices requiring an appearance in front of the Islamic police. One document particularly marks a property as belonging to the jihadist group and explicitly prohibits any trespassing or even close approach to the premises. All of the documents are signed and stamped by the ISIS hierarchy. But the trove of paperwork is the least dangerous trace of the jihadi almost a year-long rule. The Syrian army continues to stumble on mine-laden buildings as most of the neighborhoods in the city were booby-trapped with explosives. “At least 3,000 explosive devices were installed in the city,” the sapper explained to RT. He said ISIS created an almost invisible interconnected network, partially hidden under hard paved roads, which could blow up the entire city. One of the two independent triggers is manual and can be activated by an ISIS agent. The second one is automatic and was connected to the urban grid to set off series of explosions as soon as the electricity supply returns. The Syrian security forces were able to save the city of Palmyra after receiving intelligence just in time to prevent detonation. The army also sent out special interference signal to prevent terrorist from setting off the chain reaction. Syrian Army engineers are working day and night trying to unearth the explosives left behind not only on the roads but in residential buildings and historical monuments. They hope that by removing the danger, peaceful life can fully return to the city. Russia is also deploying sappers, equipped with Uran-6 robots and special armored personnel carriers, to help the Palmyra mine-sweeping effort. The second group of Russian field engineers arrived in Syria on Friday, the Defense Ministry said in a statement. Homs Province Governor Talal Barazi described the infrastructure damage done by the terrorists in Tadmur as “very large,” with electricity, telephone communications and water supply suffering the most. “The state representatives… estimated the volume of damage and they made up a recovery plan. But we are now waiting until Syrian sappers finish their work,” Barazi told RT’s Ruptly video agency. The Russian sappers are eagerly awaited in Tadmur and Palmyra to “de-mine the roads and the houses, which were mined by ISIS terrorists,” the governor stressed. “Hopefully, this [de-mining] process will be ended quickly and all the structures began their work. But I believe that the electricity and water supply will be restored within three weeks," Barazi said.